Mount Zion seen from the south. On its top is Stebbi Daoud where is David's tomb. Beyond are the walls of Jerusalem and in from the Valley of Hinnom. The Lammer gayer in the foreground were shot there, where the carcass is. There the Eagles are gathered together. Thomas Seddon - Dromedary and Arabs at the City of the Dead, Cairo, with the Tomb of Sultan El Barkook in the Background. 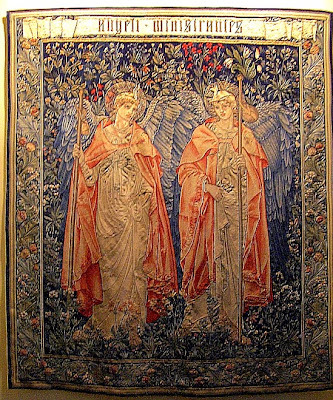 The designs of this tapestry and its partner, "Angeli Laudantes," were taken from the designs for a pair of stained-glass lancet windows in the South Choir of Salisbury Cathedral, but probably reworked for their new medium. The angels are shown in pilgrims' cloaks with pilgrims' staffs, "pausing in the paths of mercy to rest awhile their weary sandal-shod feet" (CINOA). 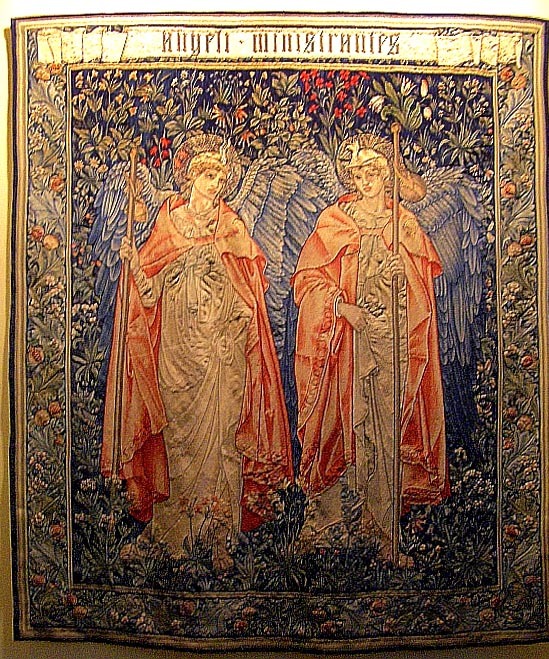 Morris was "passionate about colour and dyeing" (Drake 18), and had been making tapestry panels since 1879; he found even more inspiration for his weaving after his move to Merton Abbey in 1881. Merton, a once-rural spot near Wimbledon, had already lost its village charms: "the suburb as such is woeful beyond conception," wrote Morris (qtd. in Drake 22). But it had a long and respected association with textile printing, and provided him with soft water from the River Wandle for dyeing. Moreover, the Abbey site itself was pretty, and rich in flowers. Here, using upright looms with a mirror to guide the warp threads, and with his nimble-fingered apprentices working on the less significant parts, Morris and his senior weavers turned out some of the firm's most beautiful work in this genre. 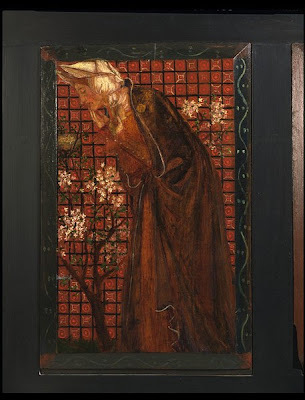 Interestingly, CINOA (an international federation for antique and art dealers) returns to Aymer Vallance's "disquieting question" of 1897: were Burne-Jones's designs perhaps better suited to this medium than to the stained glass for which they were originally intended? painted by Millais at the age of 14 in 1843! 125 by 80cm., 49½ by 31½in. 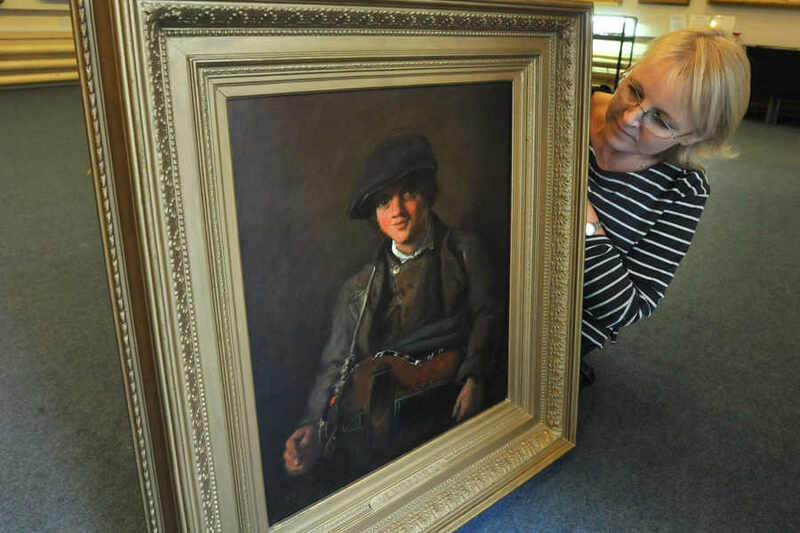 In the bi-centennial anniversary year of Charles Dickens’ death, the famous and innovative portrait of his youngest surviving daughter Kate is offered for sale. 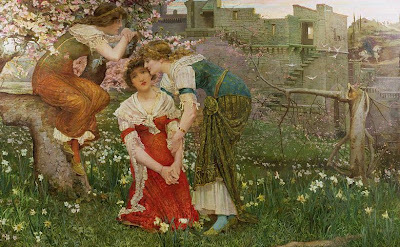 It has returned from San Francisco where it was shown in the exhibition The Cult of Beauty, a glorious display of British Aestheticism from the later nineteenth century which had opened at the Victoria & Albert Museum before touring to Paris and the USA. Included in the exhibition of Millais’ portraits at London’s National Portrait Gallery in 1999, it was also prominent in the Millais retrospective at Tate Britain, the Van Gogh Museum in Amsterdam and a tour of Japanese art museums in 2008. Kate Dickens is the subject of a fascinating book by Lucinda Hawksley Katey, The Life and Loves of Dicken’s Artist Daughter, published in 2006 and now recognised as a significant historical figure in her own right, not simply the wife and daughter of famous men. 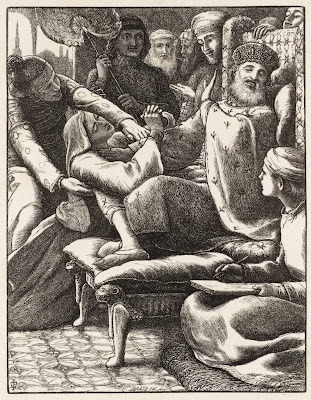 In 1850 Dickens had written one of the most famous and scathing attacks on Pre-Raphaelitism when he violently criticised Millais’ Christ in the House of his Parents (Tate). However by the mid-1850s the vitriol was forgotten and Millais and Dickens had become good friends. 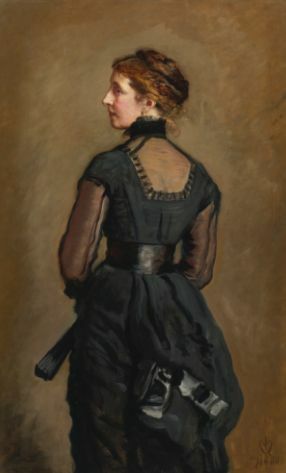 Millais met the writer’s daughter when she was a teenager. 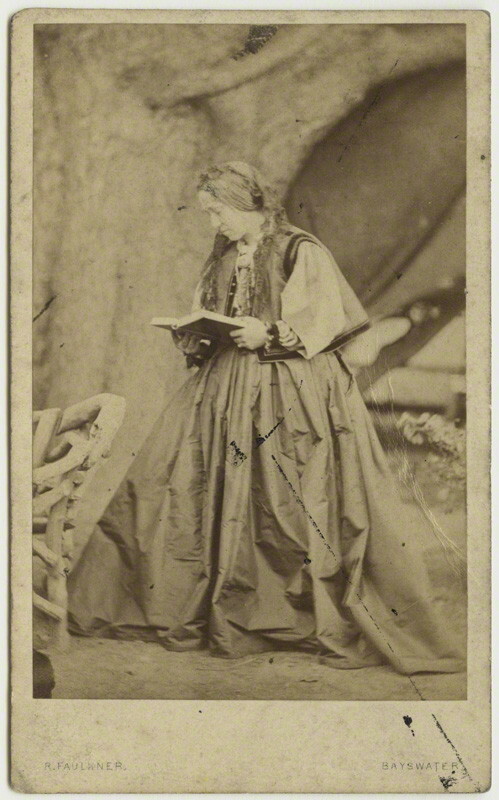 As the daughter of the most famous writer of his age, Kate Dickens (1839-1929) enjoyed celebrity and high profile in society. She moved with artistic circles which allowed her to explore her own painting and to meet many of the most inspirational men and women of London, Paris and Italy. Millais encouraged Kate’s painting and she became a successful portrait painter, particularly insightful when painting children. In 1859 Millais painted Kate as a woman parting with her lover on the eve of Waterloo in The Black Brunswicker (Lady Lever Art Gallery, Port Sunlight). We are grateful to Lucinda Hawksley for her additions to this catalogue note. 53 by 53cm., 21 by 21in. In a secluded corner of a Roman flower-market a young woman clad in a green robe and with coral beads at her throat and a golden ribbon in her hair, sits on a marble seat beside the waters of a babbling fountain of clear spring water, enjoying the midday heat of the siesta. Another girl is weaving a garland of leaves, flowers and silk ribbons and all around are baskets of blooms brought from the viridarium (Roman garden) and bronze vases and garlands ready for sale in the macellum (Roman market). The rich attire of the woman seated on the bench suggests that she is a customer of the younger girl who is dressed in a simple white diaphanous gown and with her hair tied-back with a scarf. The little florist has given the infant a white flower to play with and her sweet smile is reciprocated by her new playmate. The Corner of the Marketplace is a carefree image of the theme of dolce far niente (the sweetness of doing nothing), the subject of many nineteenth century paintings of Greco-Roman life, in which the sun is always shining, the flowers are always in full-bloom, the women are always beautiful and the children are always joyous. 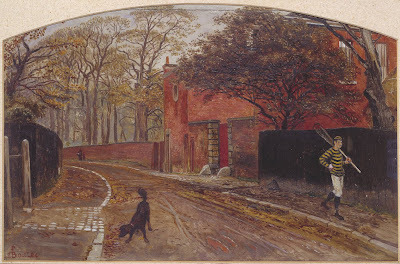 The Corner of the Villa and A Corner of the Marketplace were both owned by the stock dealer James Hall Renton (1821-1895), whose art collection also boasted exceptional paintings by John Everett Millais, including The Order of Release 1745 of 1853 (Tate), The Black Brunswicker of 1860 (Lady Lever Art Gallery, Port Sunlight), Yes of 1877 (Sotheby's, New York, 24 October 1989, lot 116) and Afternoon Tea of 1889 (Christie's, 22 November 2006, lot 220). 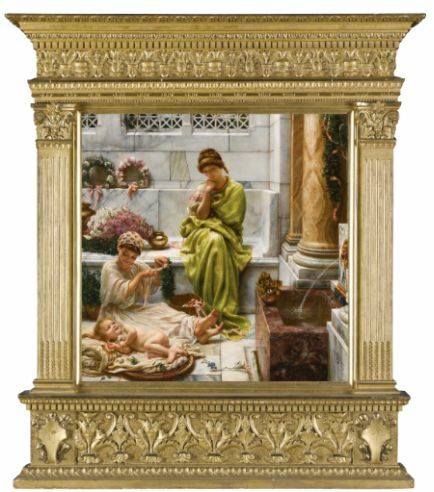 After the death of Renton's widow in 1898 the picture was bought by the art dealer Thomas Agnew, probably on behalf of Renton's son-in-law Sir John Aird who had presumably admired the picture when it hung at Renton's home on Park Lane. John Aird was the archetypical Victorian man of industry, probably the most famous and wealthiest engineer of his generation, best-known for his involvement in the building of the Aswan Dam on the Nile and for moving the Crystal Palace to Sydenham. 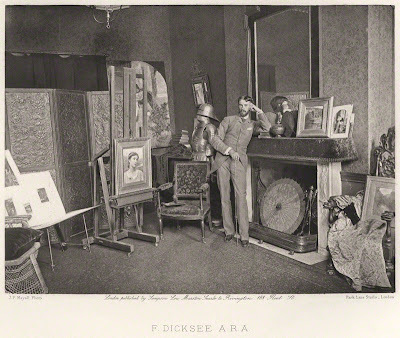 His London residence at 14 Hyde Park Terrace contained one of the finest modern art collections in England and although he owned an early picture by Rossetti, his taste was for the High Victorian paintings that were the epitome of the Royal Academy annual exhibitions. He owned Frank Dicksee's medieval romance Chivalry of 1887 (Christie's, 19 February 2003, lot 35) and his exotic odalisque Leila of 1891 (sold in these rooms 8 June 1993, lot 39) and pictures of elegant women by Marcus Stone. He particularly liked pictures with classical settings and in his collection were two early Graeco-Roman subjects by John William Waterhouse (both are now lost) and Alma-Tadema's A Summer Offering and When the Flowers Return (private collections) which, like A Corner of the Marketplace depicts girls with garlands of flowers. The two most famous paintings in his collection were The Roses of Heliogabalus (Christie's, 11 June 1993, lot 121) for which he paid the enormous sum of £4,000 and The Finding of Moses). (Sotheby's, New York, 4 November 2010, lot 56). 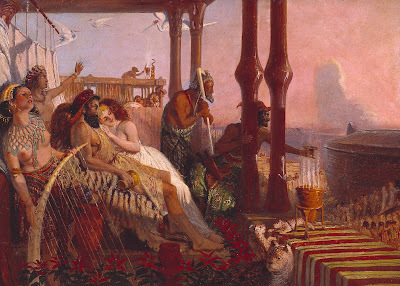 Aird also owned two other pictures by Poynter, the watercolour Egyptian Water-carriers (Sotheby's, New York, 11 December 2003, lot 89) and An Eastern Beauty. 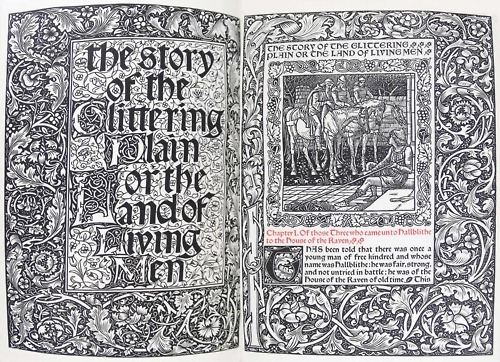 One of 500 copies, this the first issue without the cancel ff., printed in red and black, Golden type, wood-engraved decorative title, borders and initials designed by William Morris. 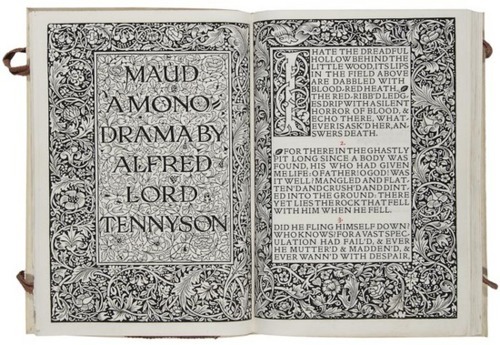 Hammersmith: Kelmscott Press, 1894. Vellum. 11 of 250 copies on paper. Seven additional copies were printed on vellum. AN IMPORTANT ASSOCIATION COPY. This was the illustrator Walter Crane’s own copy with his bookplate, an original illustration, and an inscription to his mother-in-law. It also includes a signed letter to Crane from the printer William Morris. 49 by 42cm., 19¼ by 16½in. 22 by 10cm., 9 by 4in. This delightful early watercolour was made by Rossetti while staying with William Bell Scott in Newcastle in June 1853, possibly by lamplight. 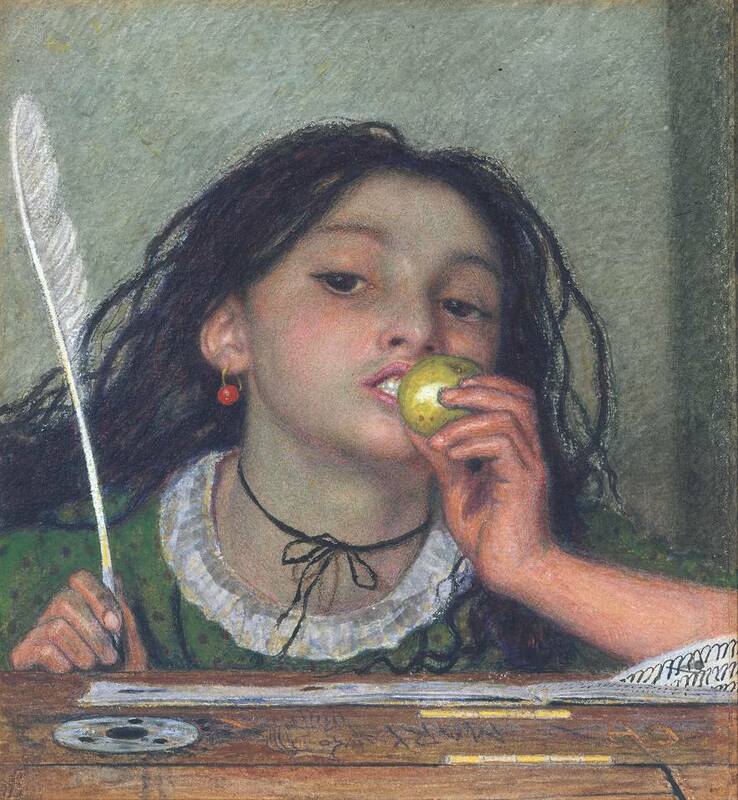 Rossetti mentioned the picture in a letter to his brother Michael; 'I have made a little watercolour of a woman in yellow, which I shall be able to sell, I have no doubt.' The watercolour was bought some years later by John Ruskin who in 1865 had a frame made for the picture and later gave it to the niece of his friend Pauline Trevelyan, Constance Hilliard who lived for a time at Ruskin's house at Denmark Hill. 54 by 47cm., 21 by 18½in. 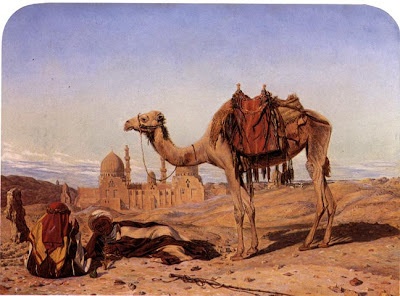 Ford Madox Hueffer, in his biography of his grandfather, writes that this watercolour was created over a period of four weeks in the early months of 1876. He gave a direct account of the subject, which he praises for its simplicity and directness: ‘Christ, seated at the centre of the table, offers the wine and bread to the Disciples seated with Him. They, recognising the sign, are struck with wonder and adopt attitudes of adoration. Round windows behind each of the figures’ heads form a kind of halo, but through them the sunlit landscape is to be seen.’ The subject is taken from the Gospel according to St Luke (24: 13-31), where the evangelist tells of Christ’s miraculous appearance to two of his followers as they were eating at Emmaus near Jerusalem on the Sunday following the Crucifixion. 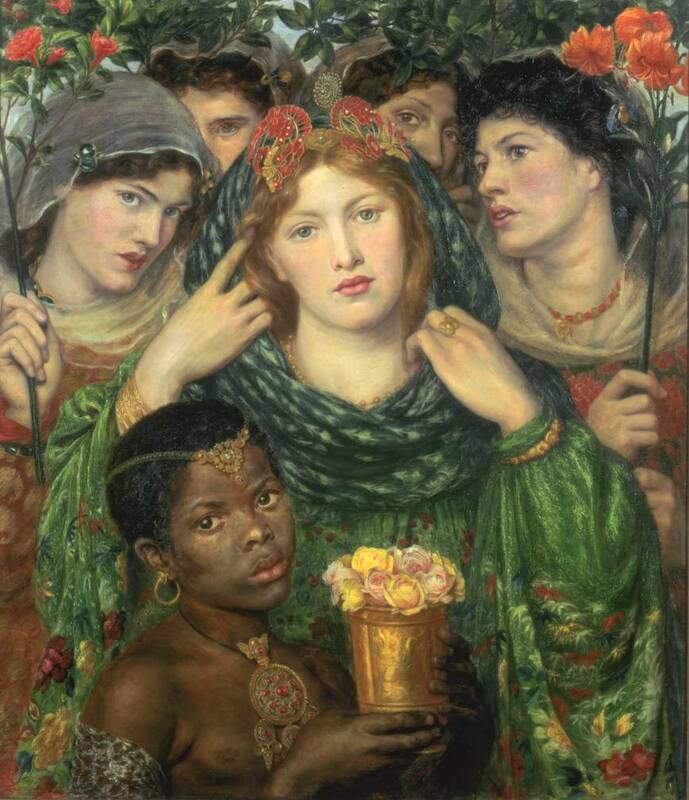 In his work Ford Madox Brown reveals his close association with the Pre-Raphaelite movement. 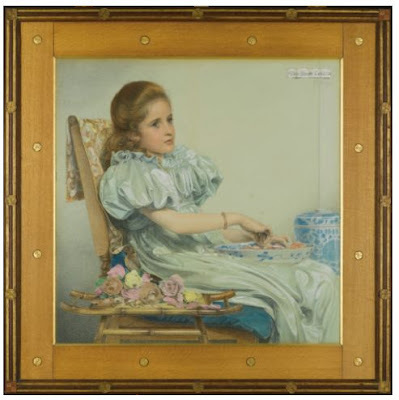 In its honest simplicity the picture echoes the naturalism of seminal works of the 1850s such as Millais’s Christ in the House of his Parents or Rossetti’s Girlhood of Mary Virgin (both Tate). 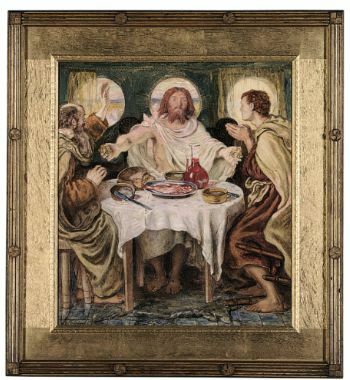 The composition of Brown’s The Supper at Emmaus was first conceived as a design for a stained glass window which he made in 1871 for the Church of Jesus at Troutbeck in Westmorland. 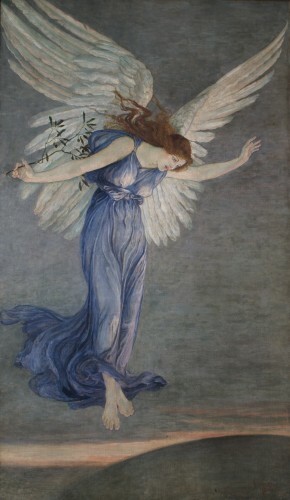 This was part of a scheme of decoration undertaken by Morris & Co and in which Brown collaborated with Edward Burne-Jones; four of the nine cartoons were prepared with additional studies for the tracery. Ford Madox Brown was paid for Feed My Sheep and Supper at Emmaus in September 1870 and December 1871 respectively. The window itself was installed in 1873. The original cartoon for the stained glass window of The Supper at Emmaus was included in the exhibition ‘Pre-Raphaelitism’ at the Maas Gallery in London in 1970, no. 37. The project for the decoration of the Church of Jesus, Troutbeck, is discussed in detail in A. Charles Sewter, The Stained Glass of William Morris and his Circle, two volumes, New Haven, 1975, pp. 189-90. The watercolour of The Supper at Emmaus was commissioned by Charles J. Pooley a cotton mill owner from Manchester. 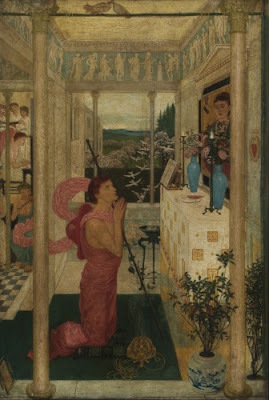 Not exhibited during the artist’s lifetime, it first appeared before the public in 1911 when it was included in the Loan Exhibition of Works by Ford Madox Brown and the Pre-Raphaelites at the Manchester City Art Gallery. 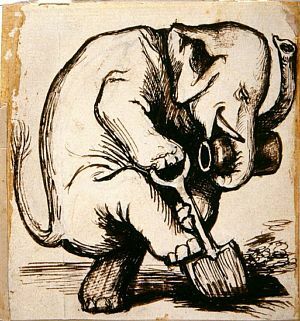 The drawing was thoughtfully described in the catalogue in the following terms: ‘A sympathetic treatment of the subject. The disciples reveal their respective temperaments in the gestures that express their astonishment on recognising the master. Note the eastern landscape seen through the round windows. Here…Madox Brown is seen as a colourist.’ (p.18) Brown’s links with Manchester were further strengthened in 1878 when he received a commission to paint murals for Manchester Town Hall on the theme of the history of the city, a project which occupied the remaining years of his life.The Supper at Emmaus was subsequently owned by the great collector of Victorian art William Hesketh Lever, Lord Leverhulme who was a consistent buyer of works by Ford Madox Brown. His first acquisition was the large painting of Cromwell on his Farm. 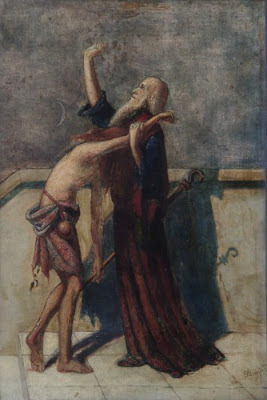 It had been commissioned by William Brockbank of Manchester and was purchased from his family’s collection through the Fine Art Society on 16 October 1899. Three years later, Lever placed it on view at Hulme Hall, Port Sunlight and lent it to the great Loan Exhibition of works by Ford Madox Brown and the PreRaphaelites in the autumn of 1911. The sale of George Rae’s collection in 1917 afforded the opportunity of purchasing the superb Pre-Raphaelite landscape of 1855, Windermere. The following year he bought the watercolour Nosegay at the Leicester Galleries. His last acquisition was that of Cordelia’s Portion, purchased though Gooden & Fox on 2 May 1924. All these paintings were subsequently given to the Lady Lever Art Gallery. signed with monogram and dated 1859 l.l. 36 by 25cm., 14 by 10in. In a secluded walled garden of raised flower-beds and espalier fruit-trees and clipped rose-bushes, a medieval lady has been watering flowers but stops momentarily to drink from a tall drinking vessel brought to her by a maid. Her richly embroidered costume and lofty mien indicates that she is a lady of importance whilst her attendant’s sombre smock and wimple denotes her more humble character. The same blue and white dress with scarlet lining had been painted by Rossetti in a remarkably violent watercolour of 1865 The Death of Breuze san Pitie (private collection) which had belonged to William Morris. The Bower Garden is a beautiful example of Rossetti’s highly individual and influential pictures of the 1850s in which the flattened perspective, saturated colours and romantic whimsy were based upon early renaissance art and the courtly romance of medieval literature. Here the narrative is not specified but is implied by the expressions and gestures of the figures who symbolise cloistered sensuality and contrast luxury and servitude. The gesture of the woman drinking combines the sense of taste with the sight of visual beauty and in several of his pictures from this period Rossetti made similar parallels, usually with music and beauty (A Christmas Carol and The Tune of the Seven Towers and The Blue Closet). Claustrophobic tension is created by the deliberate shallowness of the space, in which the raised flower-beds predict the parapets and window-frames of later pictures. The figures occupy most of the composition and demonstrate Rossetti’s talent for decorative design and his reimagining of early renaissance art, at this formative period in his career. a more exotic role as Princess Parisade from the Arabian Knights. 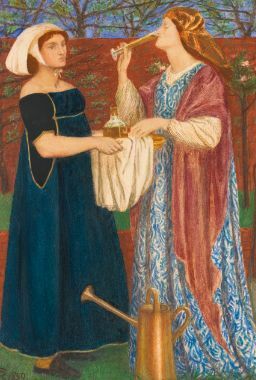 It is believed that Fanny continued to be Rossetti’s mistress after his marriage (she also married around the same time) and the depiction of her as a serving-woman and Elizabeth as a Lady may have had a symbolic meaning to Rossetti, the ambiguous expression perhaps suggesting the secret held by Rossetti and Fanny of his infidelity. The Bower Garden was painted in the same year as another depiction of Fanny Bocca Baciata (Museum of Fine Arts, Boston) a small painting that heralded Rossetti’s series of luscious Titianesque canvases. The first owner of The Bower Garden was Thomas Plint (1823-61), a woollen cloth manufacturer and reformer from Leeds. His collection included masterpieces by the Pre-Raphaelites, including Millais’ Christ in the House of his Parents, The Black Brunswicker and The Proscribed Royalist and Holman-Hunt’s Finding of the Saviour in the Temple . 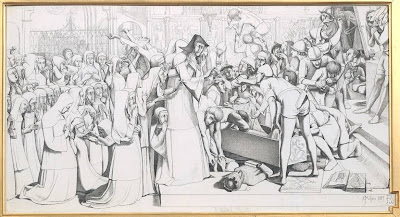 Plint owned Rossetti’s elaborate pen and ink drawings of Sir Lancelot in the Queen’s Chamber of 1857 (Birmingham City Art Gallery) and Hamlet and Ophelia (British Museum) and Mary Magdalene at the Door of Simon the Pharisee (Fitzwilliam Museum, Cambridge) both drawn in 1858, and the watercolours Carlisle Wall of 1853 (Ashmolean Museum, Oxford), a The Wedding of St. George and the Princess Sabra of 1857 (Tate). 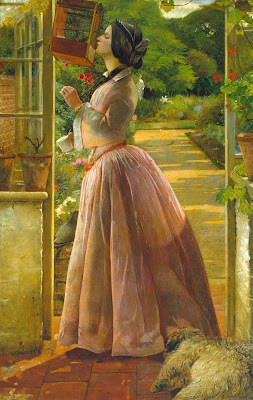 The picture was bought after Plint’s death in 1861 by another famous Pre-Raphaelite patron, James Leathart (1820-1895) a wealthy lead manufacturer. He also owned Rossetti’s watercolours Sir Galahad at the Ruined Chapel (Birmingham City Art Gallery) and The Salutation of Beatrice (National Gallery of Canada) painted in the same year as The Bower Garden and at least half a dozen more pictures by him. The present picture has remained in the Leathart family until now. 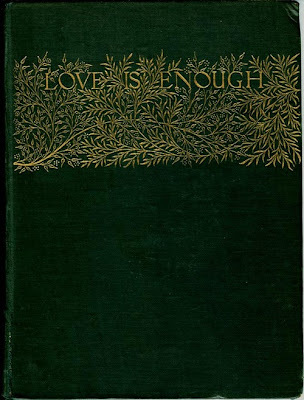 William Morris’s “Love is Enough or the Freeing of Pharamond”, 1873. This photograph shows the Rossetti family in the garden of Tudor House, 16 Cheyne Walk, Chelsea, London. 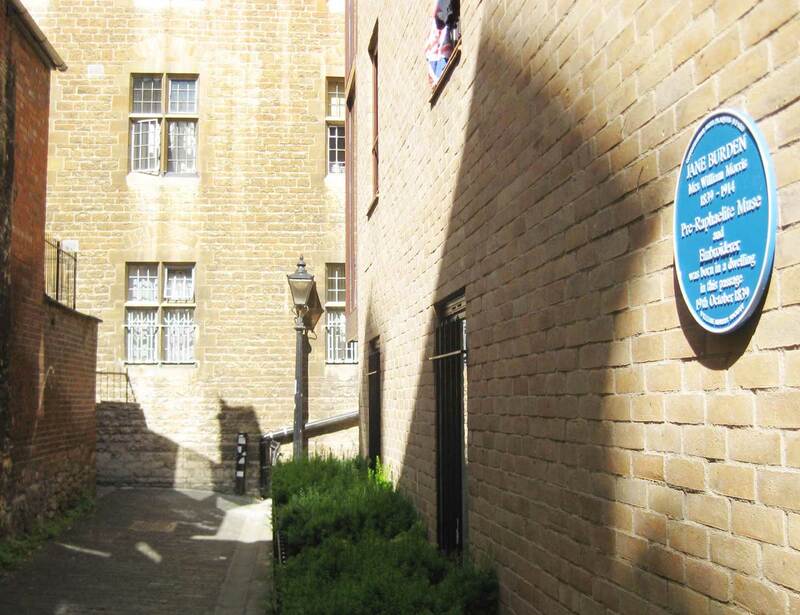 This was the home of the painter and poet Dante Gabriel Rossetti. 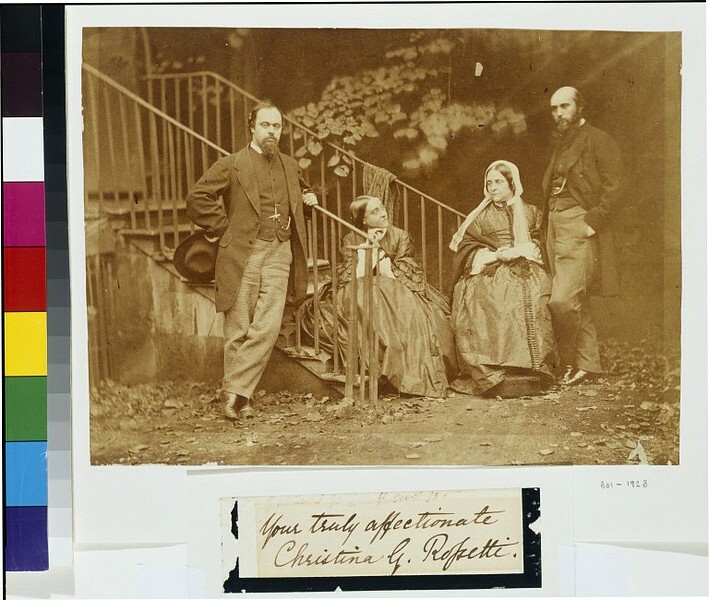 Represented from left to right are Dante Gabriel, Christina and their mother Frances (both seated) and William Michael. Lewis Carroll, poet and mathematician, is best known as the author of Alice's Adventures in Wonderland. 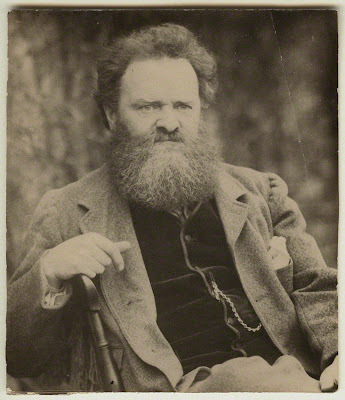 He was introduced to Rossetti by his friend, the sculptor Alexander Munro. Photography was invented when Carroll was aged ten and he took it up as a hobby in his early twenties, specialising in pictures of young girls and famous people. He was pleased to be invited by Rossetti to use Tudor House as a venue for posing his sitters. This painted wooden panel is one of a set of four. 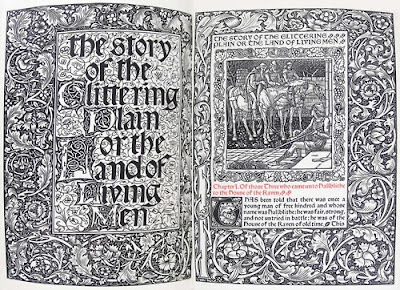 It is probably an example of the early work produced by William Morris (1834-1896), Dante Gabriel Rossetti (1828-1882) and Edward Burne-Jones (1833-1898) while based at premises in Red Lion Square, London. It is likely that the panels may have been part of a large piece of furniture such as a settle, perhaps even the built-in settle in the drawing room at Red House: William Morris’s home in Bexleyheath, Kent, designed by Philip Webb (1831-1915). 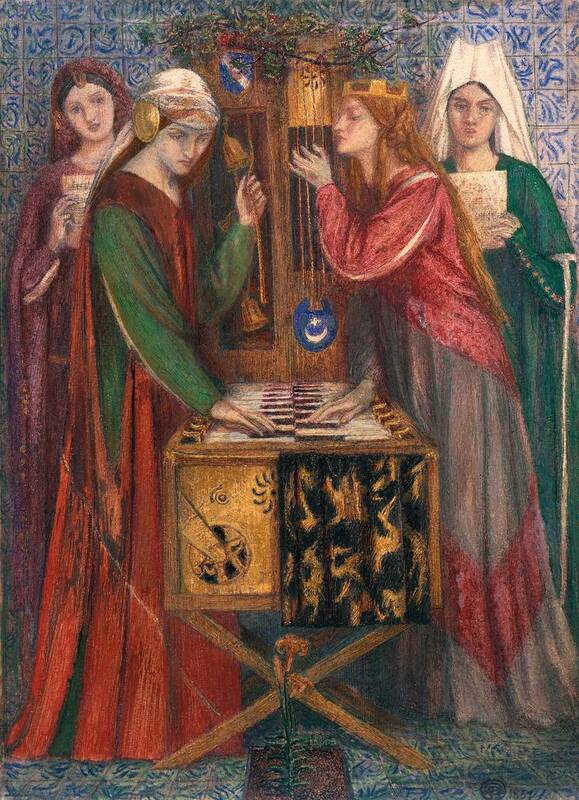 It is uncertain which of Morris’s circle was responsible for the painting of the panels. This uncertainty reflects how closely these individuals worked together during the early years of their collaboration. The subject of the panels suggests the seasons. This particular example is most likely to be Winter. However, there is no evidence to suggest that the panels were ever intended to be ‘labelled’ in this way. During the 1850s Inchbold was one of the most distinguished followers of the Pre-Raphaelites. 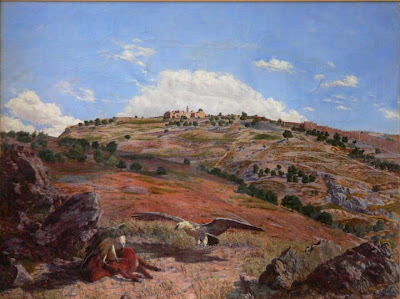 His landscapes from this period show what one critic called 'an almost painful elaboration'. 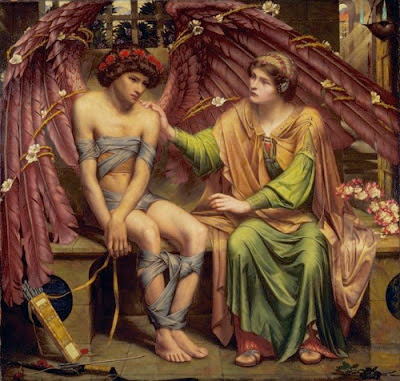 Like so many other Pre-Raphaelites, Inchbold found it difficult to sustain this intensity of vision and technique. 'Gordale Scar', with its grand motif quite freely handled, characterises the change of direction which his art took in his later career. When it was first exhibited at the Royal Academy it was accompanied by lines from Wordsworth's sonnet 'Gordale' of 1818: '... when the air/Glimmers with fading light .../Then, pensive Votary!, let thy feet repair/To Gordale-chasm, terrific as the lair/where the young lions couch; ...'. Pen and ink drawing. 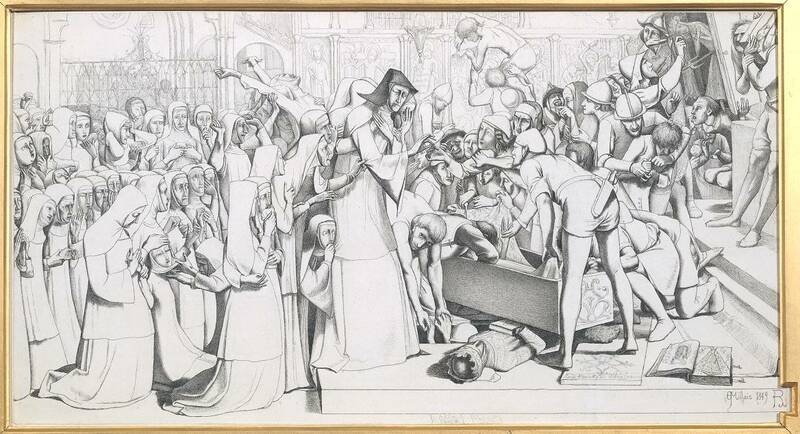 The scene depicts a church interior with rows of kneeling nuns in the left hand side, a stricken looking female Sister nun stands in the centre as the tomb of Queen Matilda is opened up by a group of civilians and soldiers who are carrying out acts of iconoclasm. The support is a cream, wove, rag, European paper that is in good condition. There is some light discolouration overall, with darker staining down the right hand edge. The media is in good condition. The drawing has been executed with very fine pen lines. Most of the figures are delineated with precise clean lines, with areas of very close cross-hatching to create areas of shadow. The effect is similar to a drypoint/intaglio print. 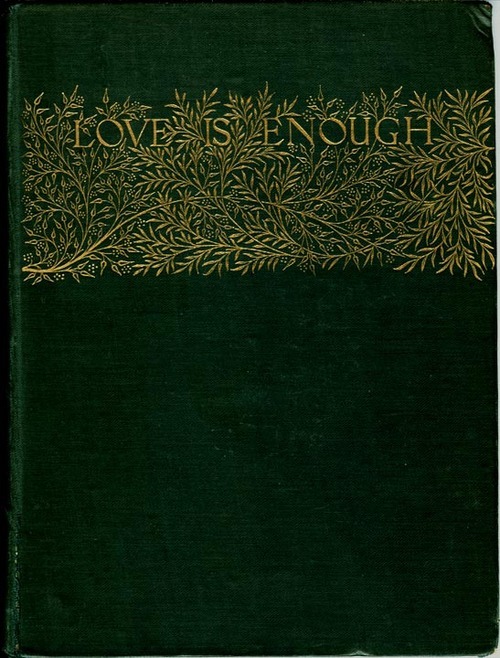 Further reading:Oswald Doughty and J.R. Wahl (eds), Letters of Dante Gabriel Rossetti, 4 vols., Oxford 1965-7. Brett spent the summer of 1856 at Rosenlaui in Switzerland. 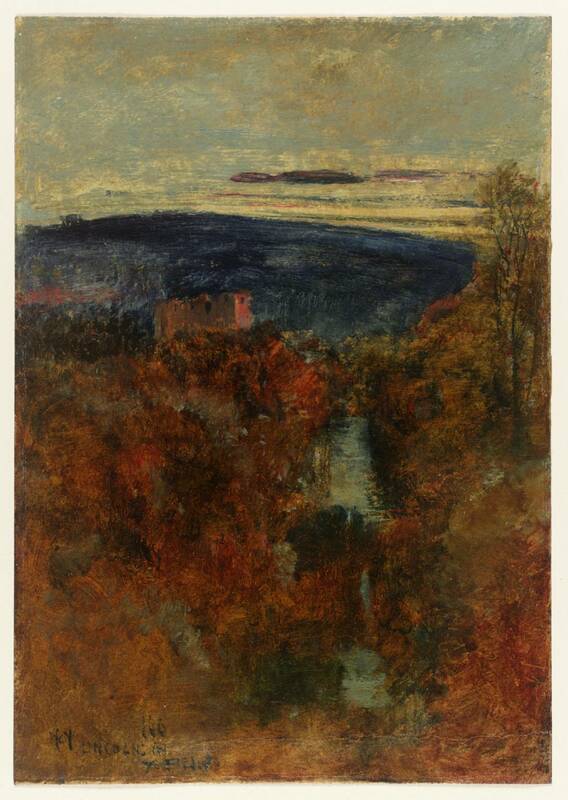 He was inspired to take the trip after reading the fourth volume of Ruskin's Modern Painters, entitled 'Of Mountain Beauty'. 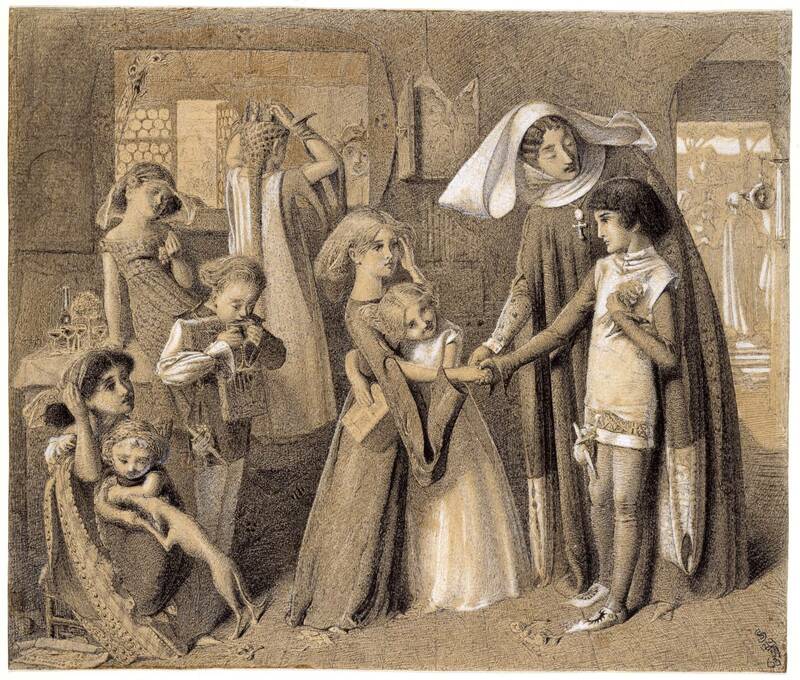 In Switzerland he encountered another Pre-Raphaelite follower, J.W. 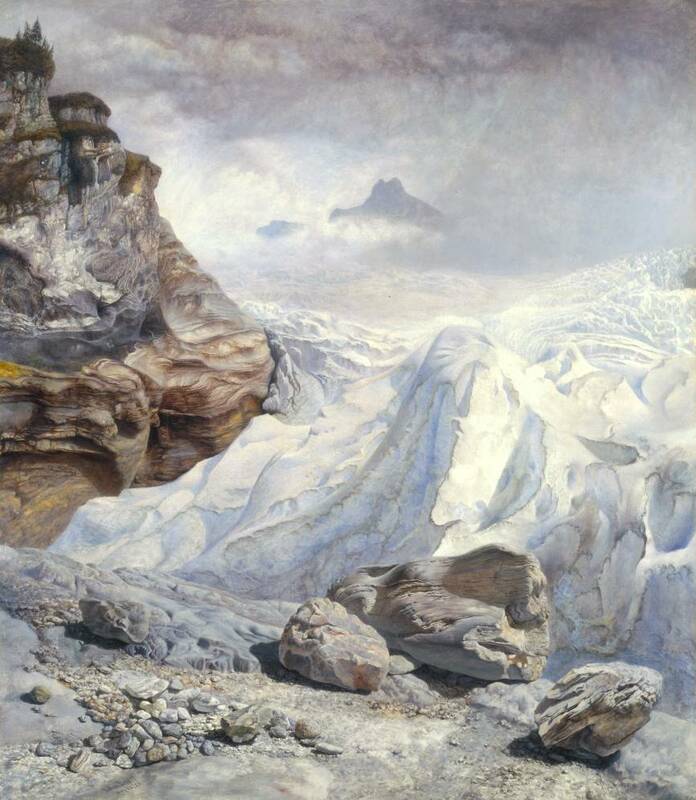 Inchbold, who was working on a picture of the Jungfrau. This chance encounter had a decisive effect on Brett's own art, and he wrote in his diary, '[I] saw him do a few touches to his jung-frau and there and then saw that I had never painted in my life, but only fooled and slopped and thenceforth attempted in a reasonable way to paint all I could see' (Brett Diary, 9 December 1856, quoted in Parris, p.147). 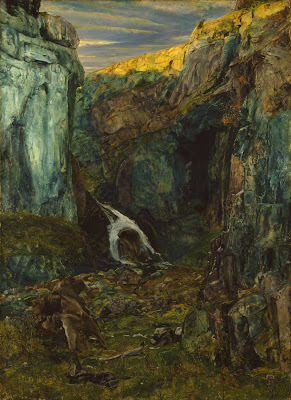 In addition to Inchbold's influence, the painting reflects Brett's reverence for Ruskin's theories on the laws of beauty and also his own lifelong interest in geology. In the centre foreground is a boulder of granite and beyond it a block of gneiss with its characteristic curving folds, so admired by Ruskin. Every rock and pebble has been painted in intricate detail, following Ruskin's dictum that a small stone could be likened to a pearl or to 'a mountain in miniature' (E.T. Cook and A.D.O. Wedderburn (eds), The Works of John Ruskin, vol.IV, 1902-12, pp.367-8). Despite its close attention to detail, the picture offers a sublime vision of nature. We are made to reflect on the enormous power of the glacier, a huge mass of steely-white snow and ice, pushing away stones and upending boulders that lie in its wake. It stretches back into a misty distance, where the tops of mountains are just visible, but where no man could survive for any length of time. Soon after Brett returned from Switzerland, the Pre-Raphaelite artist Dante Gabriel Rossetti sawThe Glacier of Rosenlaui in his studio and took it to show Ruskin. Ruskin was apparently delighted with the picture and conveyed 'expressions of pleasure and praise' (Brett Diary, 9 December 1856, quoted in Parris, p.147) to the artist. Further reading:Leslie Parris (ed), The Pre-Raphaelites, exhibition catalogue, Tate Gallery, London 1984, reprinted 1994, pp.146-7, no.79, reproduced p.146. Elizabeth Prettejohn, The Art of the Pre-Raphaelites, London 2000, p.254, reproduced p.253, in colour. Christopher Wood, Victorian Art, London 1999, p.135, reproduced p.135, in colour. 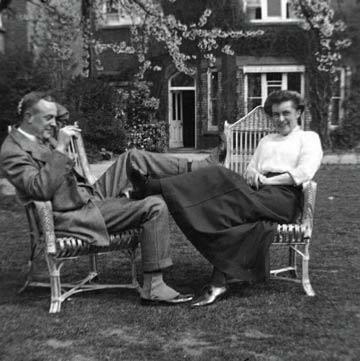 Eleanor Fortescue-Brickdale relaxes with Byam Shaw around 1911.
very rare portrait of the artist. This sketched head of John William Waterhouse remained with the sitter’s family until it was sold in May 2011. The sitter’s identity was not in doubt; and it was regarded as a self-portrait. In 2002 Peter Trippi, the leading authority on Waterhouse, questioned the attribution. 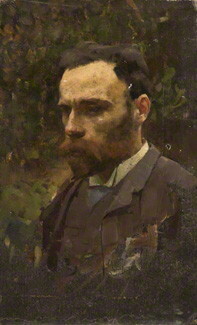 He suggested that the sketch was not a self-portrait but painted by William Logsdail, Waterhouse’s neighbour at Primrose Hill Studios. Trippi had noticed that it shared similarities with a series of other portrait sketches dated c.1886–7, preparatory to Logsdail’s great cityscape, The Bank and Royal Exchange (exh. RA 1887; coll. Mr W. Gredley). He noted that the head of Waterhouse, with its downcast and inscrutable expression, could be identified with the man in the brown suit and top hat in the group on the Bank omnibus in Logsdail’s finished painting. The Bank and Royal Exchange is well documented and Logsdail recorded in 1917 that he used friends and colleagues from Primrose Hill Studios – including four members of the Waterhouse family – to act as models for parts of the painting. There was a further twist to the collaboration, as the group on the omnibus also includes an image of Logsdail – not a self-portrait, but painted by Waterhouse (see ‘William Logsdail, All known portraits, By other artists, exh. 1877’). Primrose Hill Studios, built in 1877, was a development of twelve artist houses around a quadrangle in a mews off Regent’s Park. In 1887 J.W. Waterhouse moved from No.3 (which he had leased since 1878) to No.6 and Logsdail was at No.4; Logsdail later recalled that the artists around the courtyard ‘formed a happy family, in and out of each others [sic] studios during the day, and in the evening swapping stories over the cards and whisky or dining at “the Bull and Bush” on Hampstead Heath’. For more details on this artist community, see the caricature drawing of the Primrose Hill School, NPG 4405. Waterhouse’s features were regular, half-hidden under a thick reddish-brown moustache and beard. NPG 6920 is uninscribed, and the bare-headed man depicted relates only subtly to the top-hatted one in the finished painting of The Bank and Royal Exchange, so it is fortunate that the sketch remained in the Waterhouse/Logsdail circle, or its history and identity might have been lost. Trippi also looked at the use of paint in the sketch. It was applied with square-tipped brushes and a palette knife, obtaining a blocky build-up in keeping with continental techniques. This supported the attribution of the sketch to Logsdail, who had attended art school in Antwerp in 1878, whereas there is no evidence that Waterhouse worked in continental studios. Logsdail made his name at the Royal Academy in the 1880s through large, highly detailed and realistic London street scenes. He did not turn to full-time portraiture until after 1907, although NPG 6920 shows his ability in that field. The portrait was sent to auction by John Physick, Waterhouse’s great-nephew, at the Canterbury Auction Galleries, 24 May 2011 (260). It was catalogued as a self-portrait by Waterhouse and given a low estimate. It is painted on board, possibly a reused sketchbook cover, and is thickly varnished. 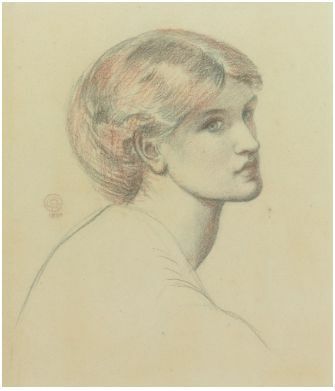 In Trippi’s words this head is ‘absolutely a modern-life image made by a trusted colleague/friend’; with the added value, from the National Portrait Gallery’s point of view, of being the only known painted head of Waterhouse, and the first example of Logsdail’s work to enter the Collection. The attribution to Logsdail has been established beyond doubt. 1) See Goodchild & Hobson 1978, cat.no.42; and Hobson 1980, p.196. 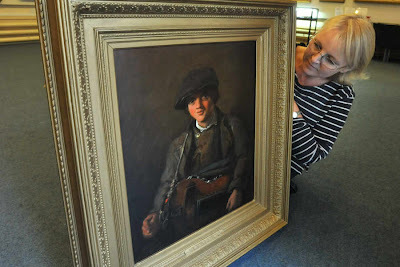 The sketch was sent to auction at Canterbury Auction Galleries, 24 May 2011 (260), as a self-portrait by J.W. Waterhouse. 2) Trippi 2002, pp.73–4. 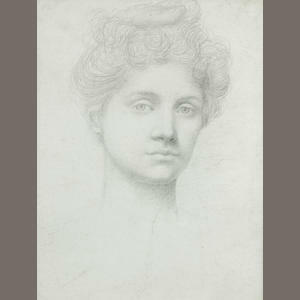 See Logsdail’s sketch of Waterhouse’s half-sister Mary, untraced; Alexander G., New York, 1999. 3) See Lincoln 1994, p.11; and a letter from W. Logsdail to an unidentified patron, 13 May 1917, untraced; copy NPG AB (Logsdail). 4) W. Logsdail, MS memoir, unpublished, coll. Logsdail family; copy Usher AG, Lincoln, cited Trippi 2002, p.70 n.44. 5) For the omnibus group in the finished painting, Logsdail used a more meticulous technique, as he related to a patron: ‘The picture of The Bank was painted 28 or 29 years ago with very minute detail & the portrait figures on the ’bus treated with almost the finish of careful miniature work’; letter from W. Logsdail to an unidentified patron, 13 May 1917, untraced; copy NPG AB (Logsdail). 6) NPG Examination Report, 31 May 2011. 7) Email from P. Trippi to P. Funnell, 20 May 2011, NPG RP 6920.